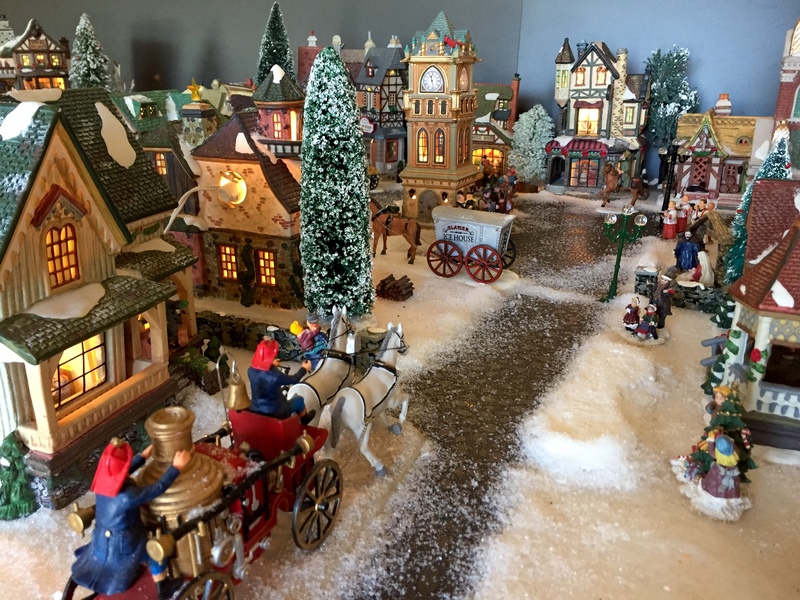 In the spirit of the holidays, The Naples Trust Company now has on display the “Dickens Village” courtesy of Director of Research, Timothy Vick. “I’m energized by the Holiday season and have been collecting the homes, buildings and accessories for the village for more than 10 years now,” said Vick. “It’s amazing to see the reaction on people’s faces when they experience it for the first time.” Each year Vick changes the design of his village to keep it fresh. Clients and friends of The Trust Company are delighted to spend time viewing the village and find new things each time they come in. The 9 x 5 foot display took several hours to construct and holds over 200 different pieces. If you visit, you’ll find it in the lobby of The Naples Trust Company on Goodlette-Frank Road and it will be on display through the New Year.